Jim Chanos had some harsh words about China at the SALT conference in Las Vegas Friday. 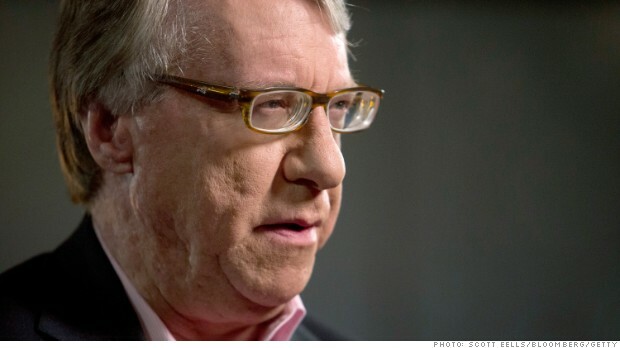 Speaking in Las Vegas at the SkyBridge Alternatives Investments Conference, or SALT, on Friday, Chanos claimed that the credit-fueled housing bubble isn't happening in cities like Shanghai and Beijing. So the magnitude of the problem often goes unnoticed by Western business leaders. "Doing business in those cities is like going to New York on the eve of the financial crisis," Chanos said. But once one travels out into the country, "it sinks in on you what a large construction site China really is." Others speaking at SALT took an opposite view, including prominent Chinese officials. Jin Liquin, chairman of China's sovereign wealth fund, said lending standards are pretty tight. Chinese buyers need to show proof of income and pay a 60% down payment when purchasing property. As for the smaller cities outside of Beijing and Shanghai, it will take them roughly five years to absorb the current housing supply, Jin predicted. Chanos countered that high down payments mean people are more likely to have their savings wiped out when the market bottoms. And he said many home transactions are all cash, some of which stem from corrupt Chinese officials funneling illicit profits into housing. Chanos also took on Chinese corporations, saying many are riddled with accounting abuses and fraud. Still, Chanos said the biggest threat to Asia is not China. He thinks it's Prime Minister Shinzo Abe of Japan. While much attention has been paid to Abe's economic stimulus policies, known as Abenomics, there's less focus on his nationalist ideology, he said. Chanos feels the geopolitical tension between Japan and China may destabilize the region. But for all of Chanos's talk of catastrophe, prominent emerging markets economist Jim O'Neill, who's famous for coining the BRIC acronym (Brazil, Russia, India, China), isn't too worried about China. O'Neill said that while China's economy could slow in the next two years, it's poised for long-term growth. And the Chinese government has even taken steps to slow down industrial production to make the country less-export dependent. "China's government is more focused on changing than people think," O'Neill said.